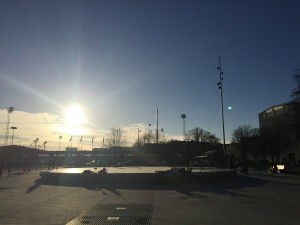 Yes, another weather post. I noticed that my weather conversations have grown exponentially since I moved to Sweden. Coincidence..don’t think so! 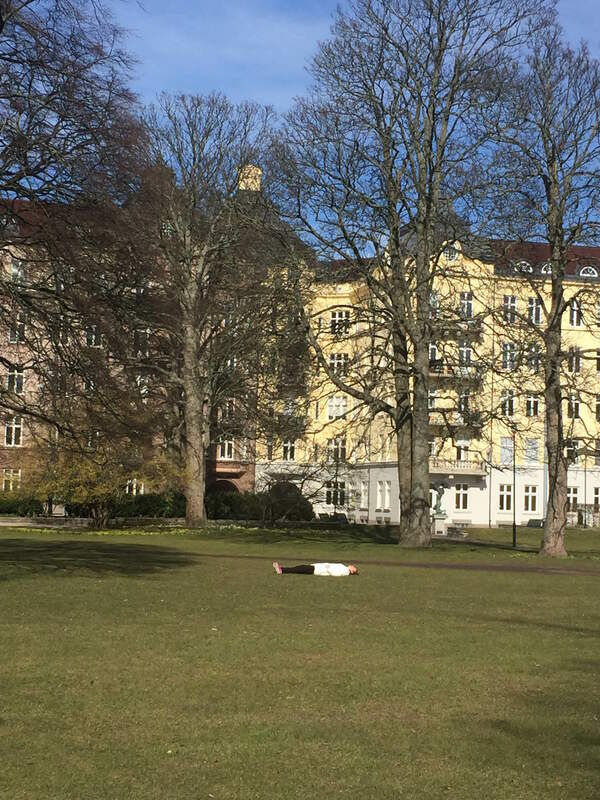 Anyways, spring in the air and the sun is out, and I have seen more people outdoors in the past few days than in the past few months (or almost). The first picture depicts something I have never seen before. 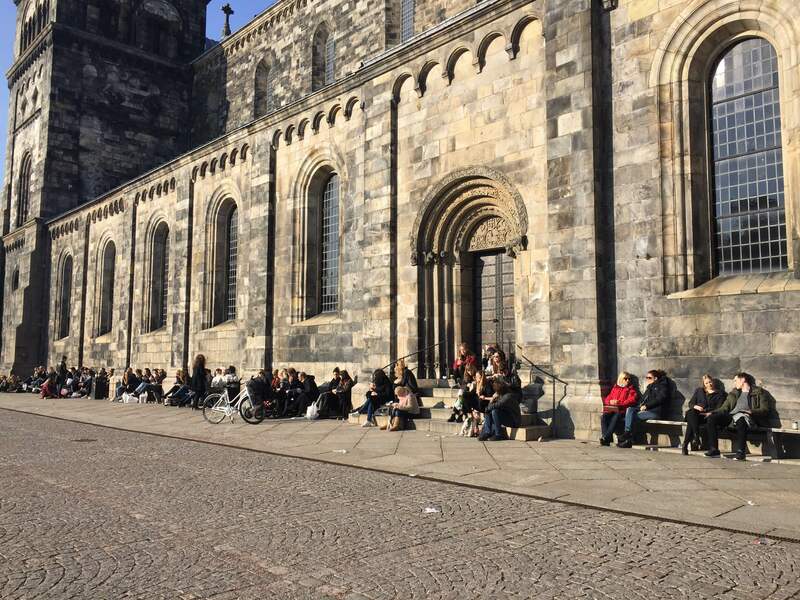 On a saturday afternoon, students, mostly, lazily laying/sitting against Lund Cathedral facing THE SUN. 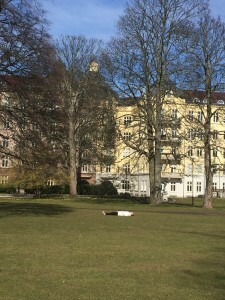 Many of them are eating lunch, drinking beer and socializing or simply loading on vitamin D. The second picture was taken last sunday of a girl laying down in a park in Malmö enjoying the 6 degrees celsius..#onlyinSweden :D. Finally, the third photo is a sunny skating spot in Malmö which I found cool. 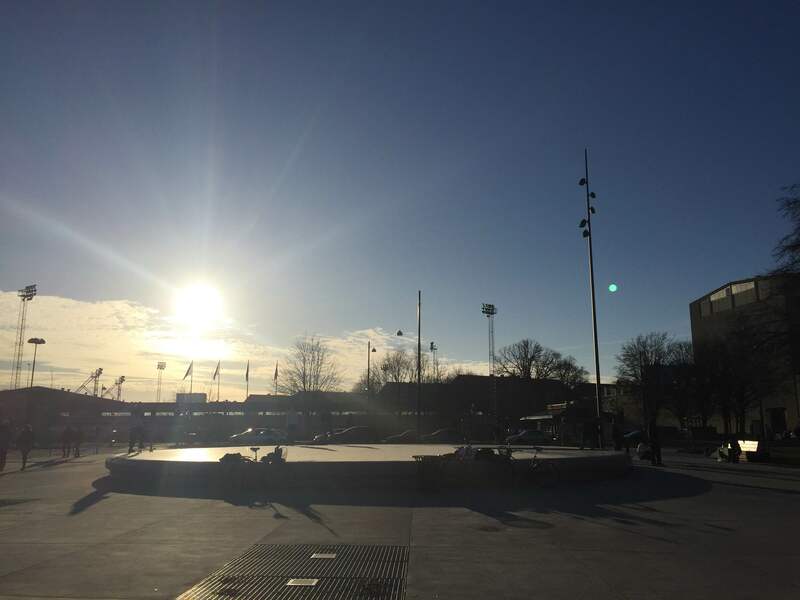 Enjoy the sun and the outdoors everyone! 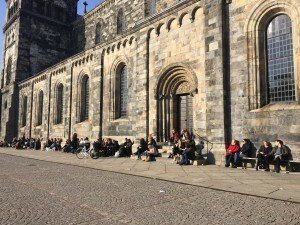 This entry was posted in Swedish culture and traditions, The city of Lund and tagged life after winter, Lund, Lund Cathedral, Malmö, students, swedes, weather in Sweden. Bookmark the permalink.